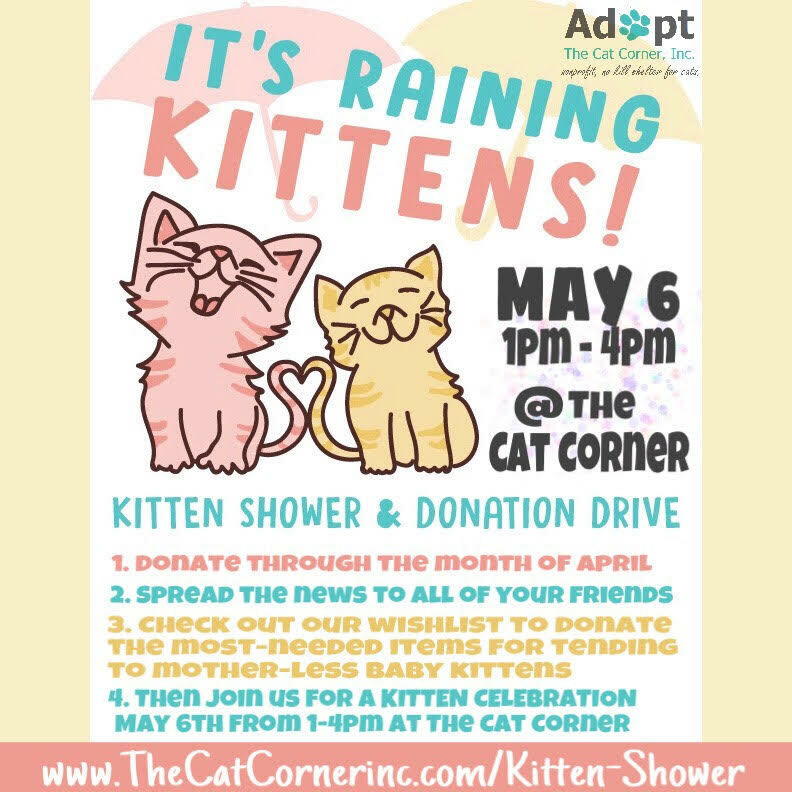 Fundraiser - The Cat Corner, Inc.
​to help these precious little ones. Spring is rolling in and love is in the air, especially for our feline friends. "Kitten Season" is upon us. It sounds cute but in reality, it can be too much of a good thing. The influx of rescued animals means more food, money and space is needed in shelters and sanctuaries around the country. Last spring, The Cat Corner took in hundreds of kittens! We provide medical care, food, love and shelter until each kitten finds his or her forever home. ​​So, can you spare the cost of a lattè? The spare change you’ve collected in your car and sofa? The price of your favorite breakfast tacos? Maybe you let your hair grow a little longer this month? Binge-watch Netflix instead of a big night out? A garage sale? Maybe your office would like to get involved? Whatever you can contribute, every dollar counts! ​Thank you as always for your support, from your friends at The Cat Corner. ​PS, be sure to help us prevent this yearly challenge by having your pets spayed or neutered! Come meet kittens and cats available for adoption! Meet current foster parents and learn about our foster program! Enter to win raffle prizes! We also ask that each attendee bring an in-kind donation off of our Wishlist for the babies or a monetary donation. We will also have donation bins set-up in pet supply stores and grocery stores around Hampton for collecting donations. The Cat Corner shelter (85 Fulton St. Hampton, VA 23663). Happy Tails Resort - 861 W 46th Street, Norfolk, Va.
Donation form is below. Please wait as it loads. 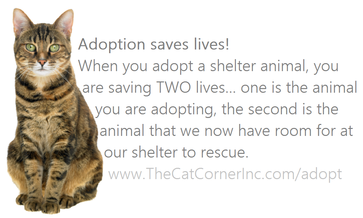 Thank you for your continued support of The Cat Corner! 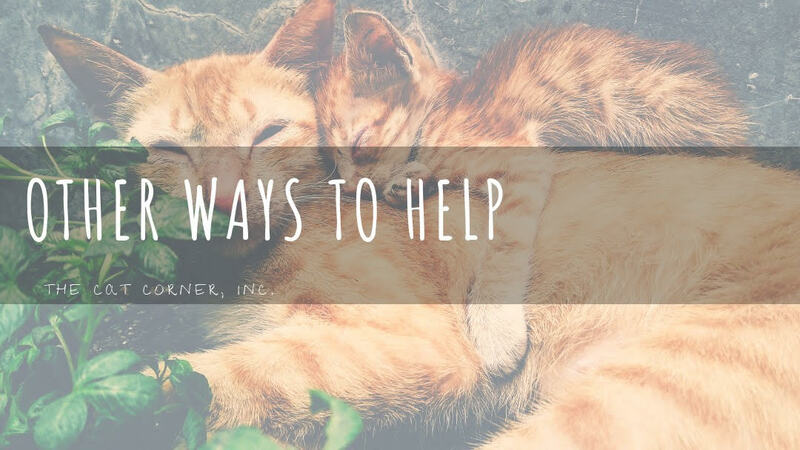 What are other ways to help? Drop off your empty, clean aluminum cans for us to recycle for cash for the cats.